RobRock had the most liked content! I thought that would have been higher. Plus, you can always include cash as part of the trade. New team picks up half the bonus. As long as the player gets paid, who cares who wrote the cheque. Or there was no trade available that would help the team. None of the other 30 teams are gonna throw you a bone and help you out because you're an Original Six team. When teams know you're not dealing on equal footing, and they have you over a barrel, they're not going to just give you what you need. There's a lack of depth in the system already, so that means that you're dealing from the roster. The only players that are going to bring in any decent return are the very same guys you don't want to trade. McCarron isn't getting you a top-two centre. Scherbak isn't getting you a top-two centre. So you're stuck with what you have, and you'll just have to play through it. Letting Radulov go was a huge mistake, but then when he decided to come back from the KHL, there weren't a whole lot of offers on the table for his services. He should have been extended halfway through 16-17. Hemsky was trying to recreate the Radulov signing, and Streit was just grasping at a very short straw. He wears those on his own. On the plus side of the ledger, Mete was a pleasant surprise and Noah Juulsen stepped up when given the opportunity. If their development continues, then maybe there's some hope. God forbid you don't have the right mindset in the locker room. If that's the criteria, then give the C to Gallagher right now. He's the one guy that you can honestly say never takes the night off. He may have bad nights, but never due to a lack of effort. Bergevin doesn't have a hope in hell of landing Tavares as a free agent. Look back at past history. Who was the last big ticket free agent to sign in Montreal? Even coming off the Eastern Conference Final run, they couldn't attract anybody. Even if you consider Radulov a big ticket free agent, he was gone in a year. He might be able to get a middle-6 forward or a 3-4 defenseman, but he's not going to get a top 3 because there will too many offers to choose from on other teams, who are at this point closer to making a bone fide Cup run. Who blinks first Molson or Bergevin??? Then you better be prepared to trade Price. He re-signed early without testing free agency, so you can bet that he was promised that there would be no rebuilding, only a re-tooling. If you're going to trade for picks, you better be getting 1st rounders, preferably in the top half of the draft. And there's not a lot of pieces on this roster who are gonna get 1st rounders. So failing that, you better get prospects that are one or two seasons away from making an NHL roster. 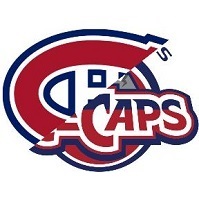 Do you as habs fan trust this organization any more??? And that's the decision that may end ultimately Marc Bergevin's time in Montreal. Everyone knows that PK's deal was Geoff Molson's deal, and either Therrien, Bergevin, or guys in the room used it as an excuse, along with some poor play on the ice, to force a trade out of town. He was overpaid, but to keep high quality players in Montreal, sometimes you have to overpay. The bottom line is that Subban played best when didn't do too much, and the last year in Montreal, he tried to do too much because Price was out and he felt he had to do more. I think guys in the room let him twist in the wind way too much, and I wonder if that's starting to happen again. I'm also wondering if this might be an opportunity to see where the real leadership is. It's not Weber, it's certainly not Patch, and it's not Pleks. Is Gallagher a leader? Is Drouin a leader? Is Shaw a leader? Is Byron or Danault a leader? Not a speech-maker, but a guy who doesn't care what the score is, and plays every shift with the same focus and drive. Because if there's no leadership in that room, you're in even more trouble than you thought. The old saying goes, lead, follow or get out of the way. Seems like more are opting for the last option than the first two. never mind, it looks like they did the transfusion during the intermission. After tonight, there's three days off. Is there any way that to get Byron's blood transfused into everyone else on the team? No offense. No defense. No size. No toughness. No depth. No character. No leadership. No plan. No quick fix.